I am bilingual therapist that I am practicing for about 8 years. I speak English and Spanish. I work with all type of individuals, children and adults. I have a great rapport with my clients. I am ready to assisting you to overcome anxiety, depression, low self-esteem, anger and any other issues that are affecting your life. I am very excited contacting you! 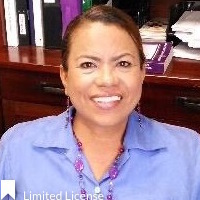 * Narcisa has completed coursework and received a Masters degree from an accredited university; however, she is not fully licensed to practice independently, and is under supervision with a fully licensed Provider. The State of Florida allows individuals under supervision to provide clinical services to Medicaid patients.